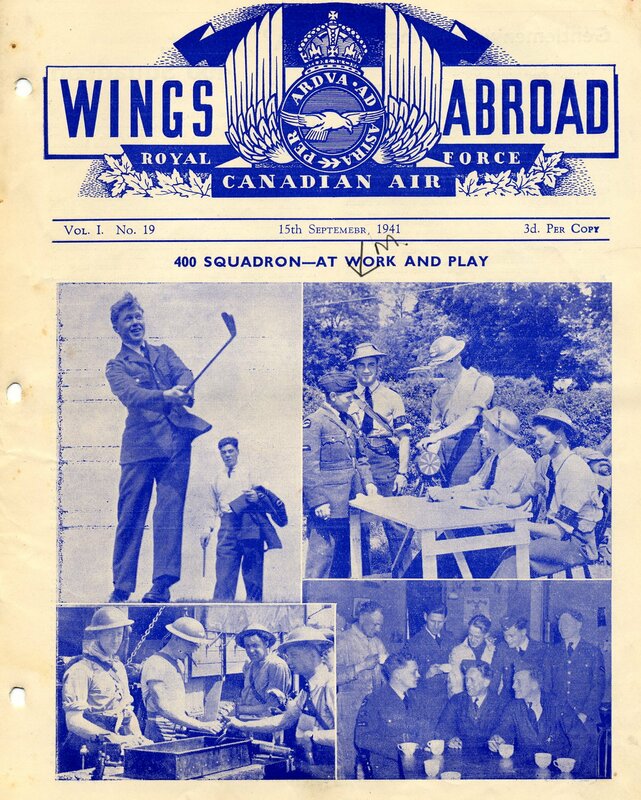 Wings Abroad Volume 1 No 18 is missing from John’s collection. The D-Day was June 6, 1944. 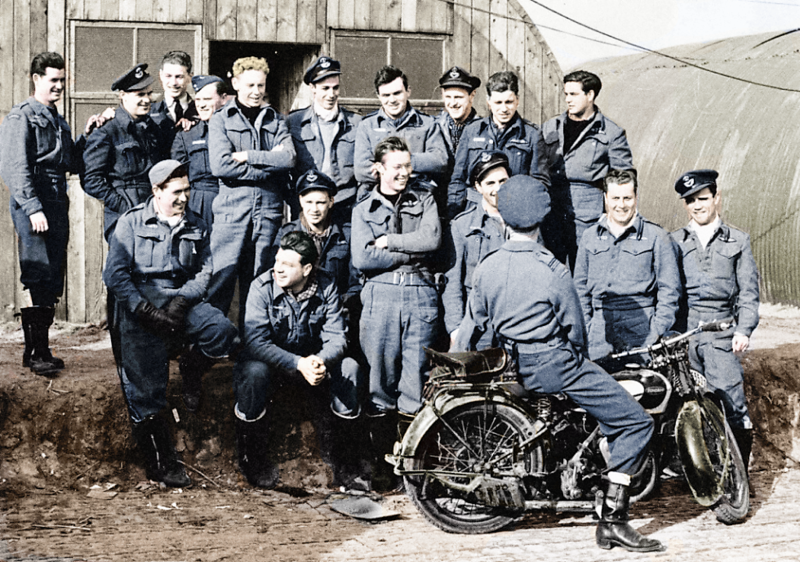 The Erks from 403 Squadron had expectations of landing in France on June 10 1944. The glider crossing was cancelled. 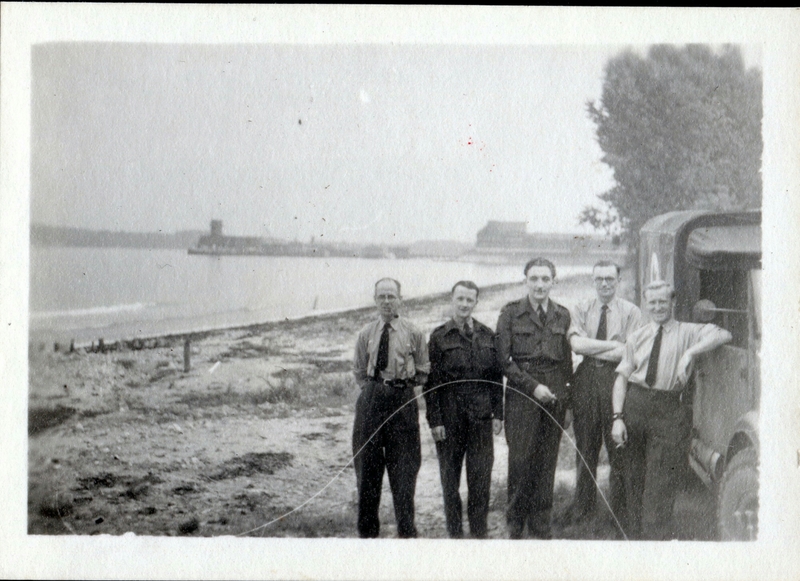 My father’s crew was then scheduled to cross the channel by air with the Dakota group, but was switched at the last minute to cross with the barge group. They eventually landed on Gold Beach on June 18, 1944 and got their trucks on shore. 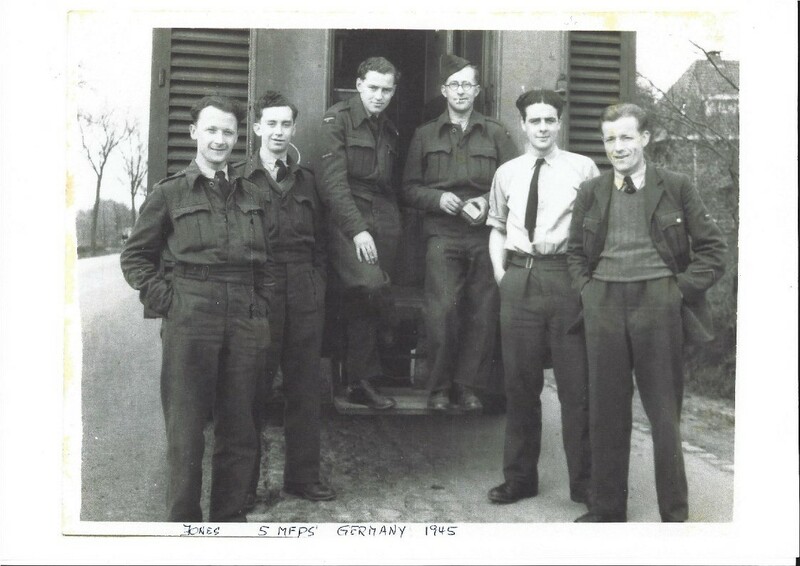 The Maintenance Officer, a fellow named Disher, ordered the crew to make sure that they got the crane truck to the airfield near the Village of Crepon. The crane truck was a key piece of equipment for lifting crashed aircraft and doing engine changes on the Spitfires. Dave McAdams who has been contributing to this blog wrote me this message. Hope you are doing well. 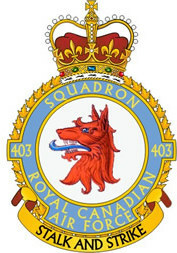 Have been seeing your interesting posts on the 403 Squadron site. Amazing what keeps coming. Thanks for your efforts. My search led me to a relative of someone my father served with in 6MFPS and she had three photos with my dad in them. I have scanned them and they are attached. 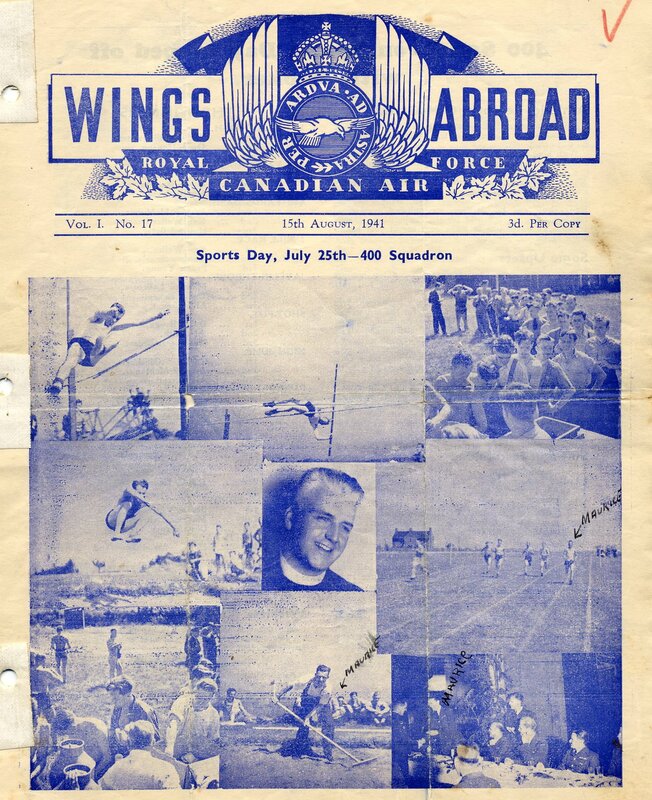 I do not know if this was 6MFPS or part of his attachment to 403 Squadron or even if the photos are all from the same year. 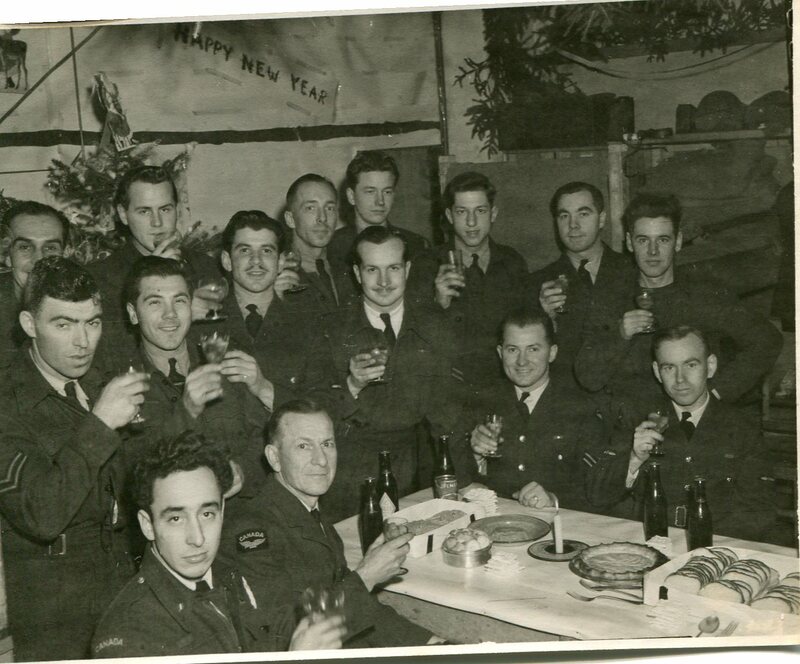 In New Years RCAF 1 my dad is the corporal on the left holding glass. This should clear the situation who is the half man.